Medicine is an equalizer, and the president may find that he cannot outrun his own condition. President Donald Trump’s temperament has always been a big part of his political brand. Depending on who you ask, he is either refreshingly frank or shockingly unpresidential. But increasingly, critics of the president have gone from criticizing his rhetoric to worrying about his mental fitness for office. His critics now include mental health professionals after several news stories, as well as the president’s own tweets, revealed Trump continues to believe in several thoroughly debunked conspiracy theories. At no other time in U.S. history has a group of mental health professionals been so collectively concerned about a sitting president. This is not because he is an unusual person — his presentation is almost typical for a forensic psychiatrist like myself whose patients are mostly violence offenders — but it is highly unusual to find such a person in the office of presidency. For the U.S., it may be unprecedented; for many parts of the world where this has happened before, the outcome has been uniformly devastating. A group of us put our concerns into a book, "The Dangerous Case of Donald Trump: 27 Psychiatrists and Mental Health Experts Assess a President." That book became an instant New York Times bestseller. Within days, it was out of stock at the big outlets and sold out in bookstores around the country. One of the nation’s largest publishers could not keep up with the demand for weeks. Clearly, our concerns were resonating with the public. One way or another, the consequences of Trump’s presidency are affecting pretty much all of us. Much of this has to do with his effects on our own mental health. For one, Americans are exhausted. The 24/7 news cycle may be part of the reason why, but there’s potentially another explanation. Pathology is confusing to the healthy. There is a reason why staying in close quarters with a person suffering from mental illness usually induces what is called a “shared psychosis.” Vulnerable or weakened individuals are more likely to succumb, and when their own mental health is compromised, they may develop an irresistible attraction to pathology, destruction, and even death (of self or others). The resulting harm is how we tell illness from health. Politics has nothing to do with medicine, which is why a liberal health professional would not ignore a kidney stone in a patient just because he is Republican. Similarly, health professionals would not call liver cancer something else because it is afflicting the president. When signs of illness become apparent, it is natural for the physician to recommend an exam. But when the ailment goes so far as to affect an individuals ability to perform his duty, and in some cases risks harm to the public as a result, then the health professional has a duty to sound the alarm. Human beings are an enviably adaptable species. However, when mechanisms go awry and reach a state of disorder, the capacity for variety and diversity diminishes and behavior becomes very predictable. This diminishing of flexibility is as consistent in the failing heart as it is in the cancer cell or the disordered human mind. It is in this context that we should view Trump’s latest exploits. Special counsel Robert Mueller's investigation is not just a matter of criminal indictments; as Trump feels increasingly walled in, his mental stability is likely to suffer and hence also public safety. Mental impairment and criminal-mindedness are not mutually exclusive; not only can they happen at the same time, when combined, these two characteristics become particularly dangerous. Trump has shown marked signs of impairment and psychological disability under ordinary circumstances, hardly able to cope with basic criticism or unflattering news. Presumably, additional stressors will make his condition worse. So far the signs have been almost too predictable. It does not take a mental health professional to see that a person of Trump's impairments, in the office of the presidency, is a danger to us all. What mental health experts can offer is affirmation that these signs are real, that they may be worse than the public suspects, and that the patterns indicate the need for an urgent evaluation (simply trying to “contain” him or asking him to “get over” them will not work). 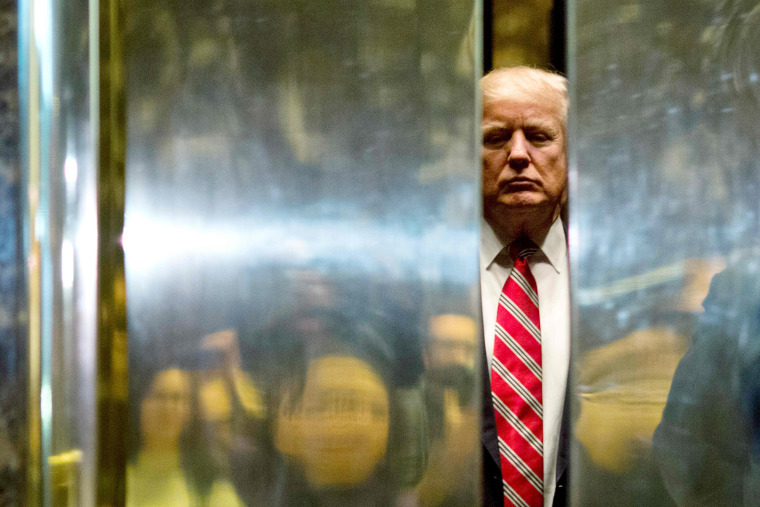 Simply put, Trump has already exceeded our usual threshold for evaluation. Just some of the signs that have raised red flags include: verbal aggressiveness, boasting about sexual assaults, inciting violence in others, an attraction to violence and powerful weapons and the taunting of hostile nations with nuclear power. Specific traits that are highly associated with violence include: impulsivity, recklessness, paranoia, a loose grip on reality and poor understanding of consequences, a lack of empathy and belligerence toward others, rage reactions and a constant need to demonstrate power. Such traits interfere with the ability to think rationally, to take in needed information or advice, to weigh consequences and to make sound, logical decisions based on reality. A preexisting patient-provider relationship is not necessary in an emergency, nor is consent. Screening for risk of harm is a routine part of mental health practice, and there are steps that we follow when someone seems to pose a danger including containment, removal from access to weapons and an urgent evaluation. A preexisting patient-provider relationship is not necessary in an emergency, nor is consent. Rather, our ethical code mandates that we treat. In medicine, mental impairment is considered as serious as physical impairment: it is just as debilitating, just as objectively observable and established just as reliably through standardized assessments. Mental health experts routinely perform capacity or fitness for duty exams for courts and other legal bodies, and offer their recommendations. The rest is up to the courts or, in this case, up to the body politic to decide. As has been made clear by his actions repeatedly, our current president believes that he is special: he is free to obstruct justice when deems it necessary, he can lie without consequences, he does not need to worry about potential consequences. But medicine is an equalizer, and the president may find soon that he cannot outrun his own condition. Bandy X. Lee, M.D., M.Div., is a forensic psychiatrist at Yale School of Medicine and an internationally recognized expert on violence. She is the editor of "The Dangerous Case of Donald Trump: 27 Psychiatrists and Mental Health Experts Assess a President," now out from Thomas Dunne Books. Her views do not represent those of Yale University, Yale School of Medicine, or Yale Department of Psychiatry. 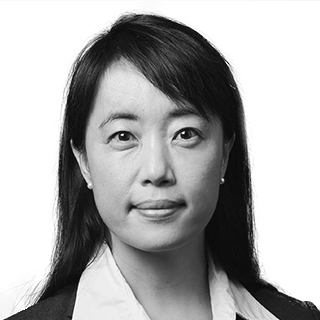 Bandy X. Lee, M.D., M.Div., is a forensic psychiatrist at Yale School of Medicine and an internationally recognized expert on violence. Most recently, she held a conference at Yale School of Medicine on the ethical rules surrounding discussion of a president’s dangerousness due to mental instability. She is the editor of "The Dangerous Case of Donald Trump: 27 Psychiatrists and Mental Health Experts Assess a President," now out from Thomas Dunne Books. Her views do not represent those of Yale University, Yale School of Medicine, or Yale Department of Psychiatry.